In 1952, Marilyn Monroe was interviewed by Pageant magazine, answering questions about her daily diet and exercise routines. She focused on exercises to enhance the muscles she wished "to keep firm" ~ namely her chest, and consumed a very simple diet every day. She was able to maintain this diet from her hotel rooms while on the road, with a hot plate, and an electric oven. I had come across a picture of her not too long ago, showing her drinking her daily 'eggnog' breakfast, but saw it recently again on Instagram post put up by Shawn Baker, MD. Since we had recently found a new groove in our own meal timing, and those meals happened to be quite similar to Marilyn Monroe's ~ only in reverse ~ I thought I'd write a post about it. Mostly because it works. For us. And it worked for one of the most legendary actresses to have ever lived! The Steak and Eggs Diet was also promoted by Vince Gironda, who trained many body builders during the 70s, including Arnold. Here is another article from Iron and Grit. Or just Google, Steak and Eggs Diet, or Vince Gironda to learn more. The timing just so happened to coincide with our own recent meal timing changes, made to adapt to the new hours at our clinic. After doing the Goldilocks, tried this but it was too late, or tried that, which had these other results, we seemed to have found the way to eat that is just right, given our current schedule. It just so happens that this hypercarnivore girl LOVES warmed milk as well. Glad to know I'm in good company. So what does she have every evening for dinner? Two guesses. OKAY, you only need one guess. Sometimes she will also eat lamb chops or liver. Simple in deed, which is one of the many benefits of enjoying a carnivore or hypercarnivore diet. I mentioned in my previous post how we were finding our sweet spot with the hypercarniovre diet, making sure to get enough fat, and not too much protein. We also were originally eating like Marilyn, having eggnog, or some form of eggs and milk products before going to our clinic, then having our main meat meal when we got home on the days we started earlier. This meant we were not eating our main protein meal until nearly 5:00pm. Since that was late for me, I was eating a snack, more yogurt or something, including tea with heavy cream, just to hold me over until getting home. I personally just have protein when it's time for a meal, and fill in with fat, rather than just rely on fat to 'hold me over' when possible. In my vegan days, I was needing to eat every two to three hours, and would snack on rice cakes with nut butter, apple and nuts, or something along those lines. Doesn't even remotely sound appealing to me anymore. I enjoy 2 cups homemade yogurt most days. Last week, we flipped the order of our meals. 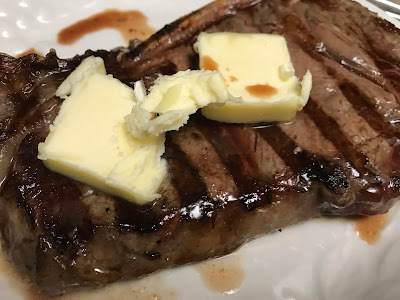 On our days of the week that we train, and start earlier at our business, we are having a big one pound steak, topped with butter prior to work. Yes, I am eating an entire one pound steak most mornings, with butter! We may have this with eggs, and/or cheese. We bring an eggnog with us to go for when we get hungry later. My eggnog is typically 2 raw eggs, maybe 3, with 12 oz. whole milk and a little heavy cream. If still wanting more, we have either more milk, or yogurt. We have been keeping boiled eggs around, so we can also fill in with a couple hard boiled eggs, and/or bone broth. Having the big steak meal first, followed by eggnog is working quite well. It's a Marilyn Monroe diet, in reverse! The steak with butter has also been beneficial in creating a better balance of the protein + fat, which I wrote about in my previous post. 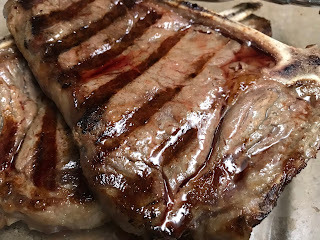 By the time I eat my steak with butter, which is usually after my coffee with fat (a little salted butter and/or heavy cream), I can go for hours. This provides half or more than half of my daily energy requirements. Adding butter to the steak has helped not only up the enjoyment factor, but the sustainability factor as well. When we start later, we may still have a light first breakfast, but grill up our main steak or burger meal to eat by noon. Again, if hungry later, it's typically yogurt, more milk ~ often warmed up for me ~ cheese, cottage cheese, or eggnog. Or, a hot caffeine-free tea or chicory coffee with heavy cream, like a dessert. We still enjoy having sausages here and there. We recently had Italian sausages which I browned first, then simmered in the Pressure-Cooked Beef Bone Broth, then simmered in a La Crueset pot with some fresh Roma tomato and green bell pepper. These vegetables add flavor, and can be eaten, or discarded. While I like the flavor, I have no desire yet to much produce. I enjoy this with cottage cheese on top. It reminds me of eating a lasagna, without the noodles. Pretty yummy. We did have steak with a cucumber and tomato salad recently. We ate part of it, and the remainder has sat in our fridge for several days now. Probably time to toss it. Just that amount of produce seems to alter my digestion. I can see now how I was creating total GI distress from eating so much fiber. My stools change after eating produce. And it takes at least two days or more for it to return to normal. We are loving eating this way. It feels good to front load the calories, as it makes the rest of the day easy to fill in with something easy to grab from the fridge. 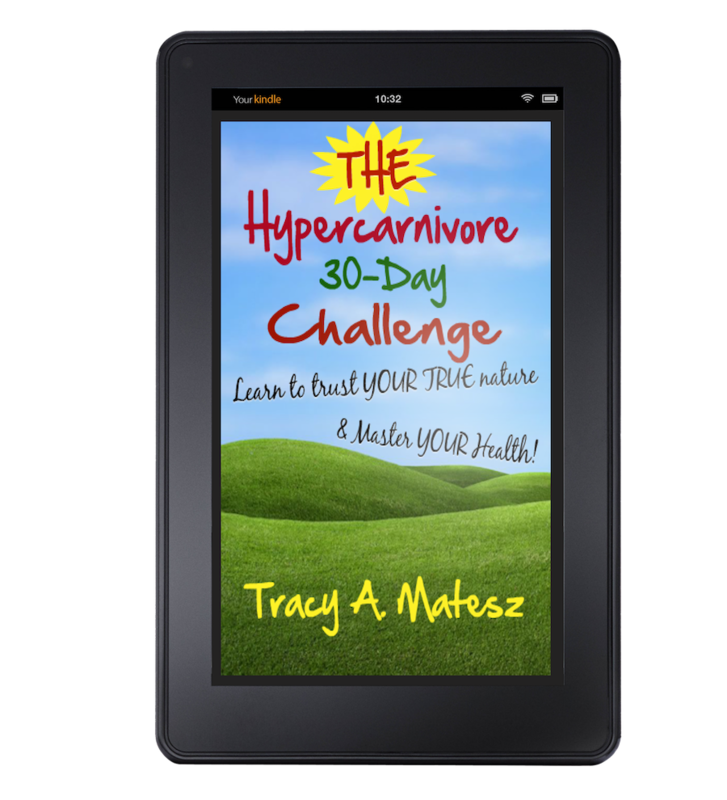 Love love love being a hypercarnivore ~ eating mostly animal foods, plants optional. Yes - and more and more research are uncovering the benefits of "frontloading" foods for various people, driving up NEAT, reducing overall caloric intake under ad libitum conditions and my own experiences have been that even at the same calories, people would simply have an easier time building muscle and losing bodyfat this way. Some calories would be skewed towards workouts and high-intensity activity, and since that is either morning or lunchtime for me it was easy to implement - but even for the people working out in the late afternoon/evening having sufficient foods earlier in the day definitely improved their performance. So my theory is that since we evolved on cycles of feasting and fasting out of necessity, i.e. 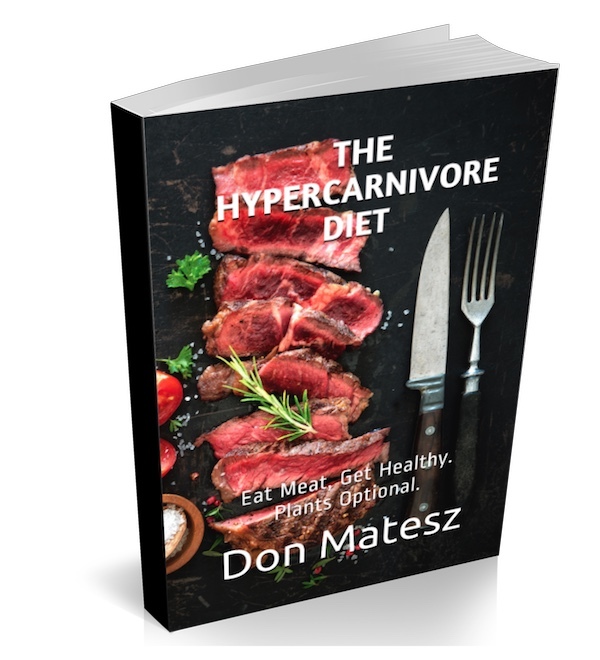 if there were no leftovers from the day before we had to go out fasted to hunt and gather, this created a physiology that was tuned to storing fat as efficiently as possible...bodyfat being essential for survival and brain function. This created a circadian pattern to feed at NIGHT, so shifting behavior to eat earlier in day results in impaired bodyfat storage as well as simple behavioural aversion to eating. The result of an early feeding window with no food after e.g. 4-6pm or so is weight loss, but it works by fighting what is natural for the body - i.e. I think it works because it's circadian UNNATURAL, which is why people end up losing weight. The time people want to eat and store fat better (consistent with physiology), they are forbidden to do so. 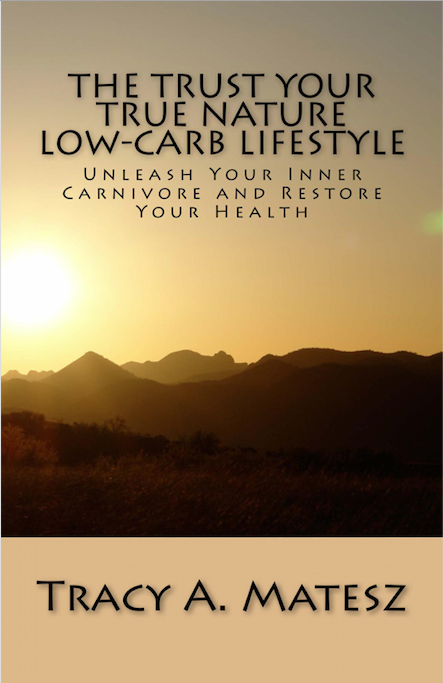 So intermittent fasting without the limited food choices, activity patterns and lifestyle of our hunter-gatherer ancestors can set you up for easier fat gain unless you constantly control calories (it tunes the so-called adipostat higher). I also think from a "circadian" perspective, attempting to sleep fasted is a worse than sleeping after a big meal, but both gorging and fasting before bed are disruptive to circadian rhythms. Bill Lagakos at caloriesproper.com has written extensively about this in terms of circadian biology (and I spent 3 years delving into the research that was available at the time).